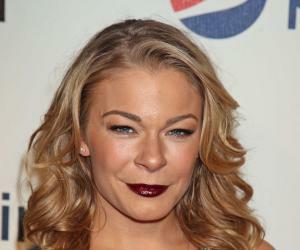 LeAnn Rimes is an American country and pop singer, songwriter, actress and author. This biography offers detailed information on her childhood, life, music career, achievements & timeline. Margaret LeAnn Rime Cibrian, famously known as LeAnn Rimes, is an American country and pop singer, songwriter, author and actress who gained popularity at the young age of 14, becoming one of the youngest country music stars of America. Although Rimes started young––took singing lessons from the young age of 5 and performed locally in Texas theatres and cable television shows–– the breakthrough in her career came with her first debut studio album ‘Blue’, for which she received two Grammy awards. She initially started with country music and later on turned to adult contemporary music, pop and rock and most of her albums are a mix of all these genres. She has been associated with the famous country singer Patsy Cline, owing to the similar style in music and singing; some of the music critics consider her work as a legacy to Cline’s singing career. Rimes is not only a singer but also an author - she wrote her first fictional novel when she was 15 and has also written two children’s books. 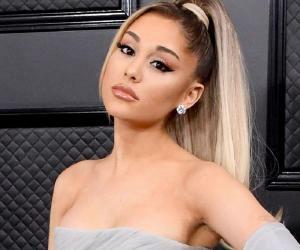 She made her acting debut with ‘Coyote Ugly’ and sang the soundtrack of the movie, ‘Can’t Stop the Moonlight’, which made her into an international favorite and a globally known celebrity. LeAnn Rimes was born in Jackson, Mississippi, to Wilbur Rimes and Belinda Butler.She demonstrated the talent to sing in high pitch ever since she was just 18 monts old and that is the reason why her parents got her enrolled in singing classes. When Rimes was 6, her family moved to Garland, Texas, where she continued to learn singing and dancing and gave her first local performance. She got an opportunity to perform in a production of ‘A Christmas Carol’ in Dallas. There was no looking back with her appearance on the network television competition show Star Search and decided to pursue country music. During this time, she also appeared on ‘Johnnie High's Country Music Revue’, a number of times. Rimes became an experienced professional singer by the age of nine, owing to all the media exposure that she got. She started to perform cappella renditions of "The Star Spangled Banner" at the Dallas Cowboys football games. She toured with her father all through the nation to take part in different musical endeavors and by 1991, he started to record under the independent label ‘Nor Va Jak’. She released three albums under it until 1996. Rimes was made into an American star through the efforts of Dallas disc jockey and record promoter Bill Mack. In 1994, she recorded Mack’s self-composition on her independent album ‘All That’, titled ‘Blue’. Rimes released her debut studio album ‘Blue’ in 1996 in which she re-released Mack’s composition ‘Blue’. The track scored at number 10 on the Billboard Country Chart and the album sold 4 million copies in the States. Owing to the success of ‘Blue’ she won two Grammys and became the youngest person to ever win that. She also won the Country Music Association's ‘Horizon Award’ for ‘Best New Artist Of The Year’. In 1997, she released ‘Unchained Melody: The Early Years’ and ‘You Light Up My Life: Inspirational Songs’, which contained more adult contemporary-styled music than country. She also released her first novel ‘Holiday in Your Heart’. Rimes released her adult contemporary and mid-tempo pop music based album ‘Sittin’ on the Top of the World’ in 1998. It debuted at number two on the Top Country Albums chart, and number three on the Billboard 200, adding to her success. In 1999, Rimes released ‘LeAnn Rimes’, which sat at number one on the Top Country Albums chart and at number eight on the Billboard 200 album charts. She also sang a duet with Elton John for musical ‘Aida’. She ventured into Hollywood in 2000 with ‘Coyote Ugly’ and sang its soundtracks, ‘Can’t Fight the Moonlight’ and ‘But I Do Love You’. 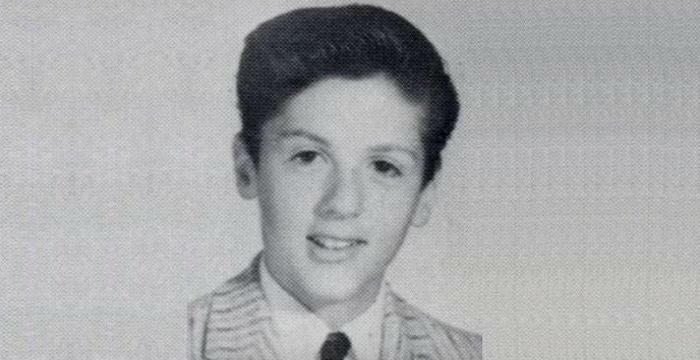 ‘Can’t Fight the Moonlight’ became a cross over pop hit, and won her a Blockbuster Entertainment Award. In 2001, Rimes released a compilation album ‘I Need You’, which stood at number ten on Billboard 200. It was not a critically acclaimed work but sold large copies worldwide and gained commercial success. She released ‘Twisted Angel’ in 2002; it was the first album of Rime’s career that was not released under her father’s production. The album peaked at number three on the Top Country Albums chart but was a critical failure. In 2003, Rimes turned 21 and published her second book and first children’s book ‘Jag’. 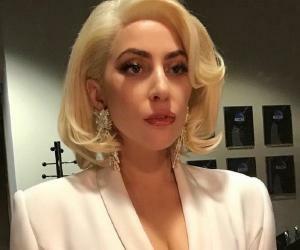 In the same year, she gave a track for ‘Legally Blonde 2’ titled ‘We Can’. She also released her Greatest Hits compilation. 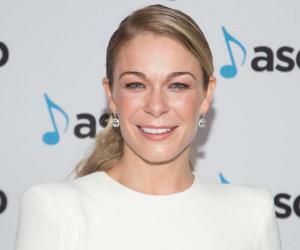 She released ‘The Best of LeAnn Rimes’ in 2004 and contributed to the ‘Dr. Pepper’ commercial by teaming up with the country singer Reba McEntire. She released her book ‘Jag’s New Friend’ and the album ‘What a Wonderful World’. In 2005, Rimes released her bestselling album in 5 years titled ‘This Woman’. The album was certified ‘Gold’ but received mixed critical reviews. She was nominated for a Grammy award for ‘Best Female Country Vocal Performance’. She released an album which was meant for countries outside America and Canada, titled ‘Whatever We Wanna’ in 2006. The album comprised of tracks like, ‘And It Feels Like’, a duet with Brian McFadden titled, ‘Everybody's Someone’ and ‘Strong’. More than a decade in the business, Rimes released ‘Family’ in 2007––a mix of genres like country, pop and rock. She co-wrote all the tracks for the album and got nominated for the Academy of Country Music award. In 2010, ‘Lady & Gentlemen’, a cover album of country songs, was released, which comprised of tracks like, ‘Swingin’, ‘Crazy Women’, ‘Give’, etc. The release of the album was announced by Rimes herself via her Twitter account. In 2013, she announced the release of her studio album ‘Spitfire’ through Twitter. It was put up first for digital download in the United Kingdom and Australia and was released in the States a few months later. Rimes debut album ‘Blue’ and the track with the same title is considered to be the most defining point of her singing career. It made her the second youngest country music star of America and got her two Grammys. Rimes is the winner of two Grammy awards for her album ‘Blue’ and won the American Music Award for the same album in the category of ‘Favorite New Artist’. She is also the winner of Country Music Association award. In 2000, Rimes filed a lawsuit against her father, on the account that he took around seven million dollars from her while managing her record label. The lawsuit was settled outside the court and she reconciled with him later. While she was surrounded by legal battles, Rimes fell in love with dancer Dean Sheremet and got married in 2002. They met during the Academy of Country Music awards ceremony but their marriage came to an end within seven years. In 2011, Rimes got married to actor Eddie Cibrian, whom she met at the sets of ‘Northern Lights’. When she met him, Cibrian was still married and he ended 8 years of his marriage to marry Rimes. In 2012, Rimes took a treatment for anxiety and stress. She has been struggling with the autoimmune disease psoriasis, which she finally talked about in public in 2008. Her voice and style of singing has been associated with the county music legend Patsy Cline.